If you are thinking about getting tape-in hair extensions, there are some things you need to know in order to maintain your new tresses and keep them looking as good as the first day you got them applied. They also should be applied by a licensed professional who is certified in tape-in hair extensions. Although tape-in extensions are simple to apply, they should always be put in by someone specifically trained in this particular method. If not, your tape-in extensions could slip out much earlier than expected or break. There are two types of tape-in hair extension methods. One is the regular double-sided tape application and the other is the single sided tape application. Your stylist should be able to recommend which process is right for you. The single sided tape-in method is for women with thin or fine hair because it puts about 50% less weight on the natural hair shaft. 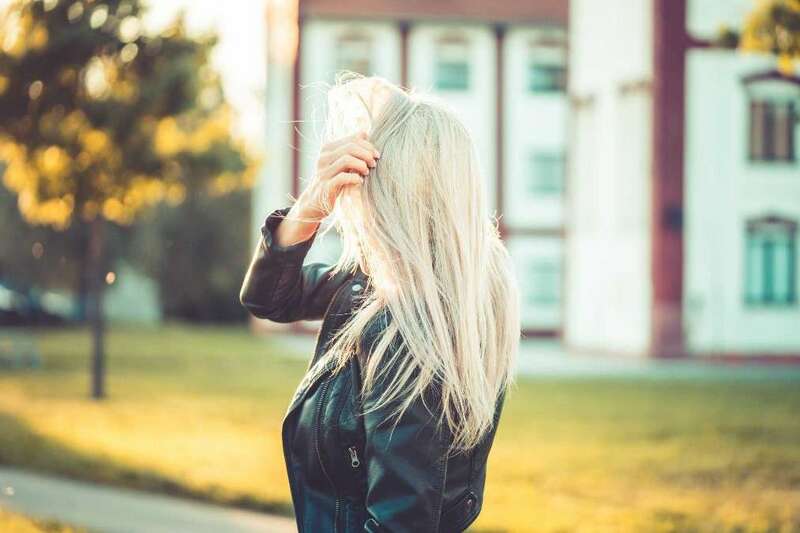 If you are expecting to have a chemical treatment done to your hair such as coloring, it’s best to get this done one week prior to having any tape-in extensions applied. During the application process your hair should be free of any products, oils or chemicals and hair should be clarified to remove any natural oils that may be present. Below are just a few guidelines you should follow to avoid any damage or breakage. Following these few simple tips will also ensure that the extensions last longer. · Application Positioning-If you are the type of woman who enjoys the versatility of wearing your hair up, request that your stylist apply the tape-in extensions at a slight angle. This helps the hair to blend better with your natural hair when you have it up in a ponytail or are pulling it back into a braid. Of course with certain styles, be aware that sometimes tape-in extensions are a bit harder to disguise. · Always Blow Dry and Heat Style-When washing your tape-in extensions, it’s a good idea to lift them up individually and scrub between them to clean your natural hair underneath. Also, it’s a good idea not to let your hair air-dry as this can cause the tape-in extensions to matte, get tangled or have a crunchy texture to the hair. · Brush Twice Daily-The tape-in extensions should be brushed at least twice a day with the proper boar bristle brush. A regular brush will tend to grab and pull down on the tape-ins and this is not recommended. Boar bristle brushes will glide through the hair without pulling on your tape-in extensions while still serving the purpose of untangling the hair. If you need to comb wet hair right out of the shower, use a wet brush instead of a fine tooth comb. This will also help you avoid yanking on your extensions. · A word on Adhesive Lifting-If you find the top of your tape-in extensions starting to lift up from your hair shaft, you can take a flat iron and press it to the tape to help reseal the adhesive again. The heat from the iron will make the adhesive re-adhere back onto your natural hair. · Be Careful with Hair Products-When you have tape-in hair extensions, you cannot use just any hair product. This is especially true with washing your hair after tape-in application because you cannot use conditioner anywhere around the tape portion of the hair extension. If you condition the hair, make sure you only concentrate on the ends or tips. Avoid any hair products that contain oils or sulfates. Finally, it’s best to always use a sulfate-free shampoo and conditioner.